Can peace be built? International Peace Day Logo: wikimedia. Are ports the future of peace? There is precedent. An 1854 firman, signed by Pasha al-Said and Ferdinand de Lesseps, stated that a canal, to be built in Egypt, would be open to “all nations” and “no particular advantage can ever be stipulated for the exclusive benefit of one country” with tariffs equal for all nations. The Suez Canal opened in November 1869 with much fanfare including commissioning of Verdi’s opera “Aida.” In over 200 years, the canal was closed 6 times: the shortest was 3 days; the longest, 8 years. Despite such closures, the canal endeavored to follow the chartered guideline. How successful was the project that included openness and peace in its authorization and financing? On November 15, 2018, 33 vessels traversed from the North and 23 from the South. The building of the waterway employed 1.5 million people. Canal des Deux Mers linking the Mediterranean with the Atlantic. Image: wikimedia. Some call it Silk Road 2.0, but by any name, the Belt and Road Initiative, a system of canals, roads, trains, shipping routes and ports, when built, will be the world’s largest engineering project in history. This transport and connection system will include 1/3 of the world’s trade and GDP and 60% of the world’s population in 65 countries, using 75% of the world’s known energy reserves. Like Suez, or the Canal between the Seas, with open access essential to strategy and purpose, initiatives of such macro scope might include peace in their charter. Mobilizing the Organization: Bringing Strategy to Life suggests four stages of mobilization: Purpose, Structure, Guidance, Resourcing. Guiding the Belt and Road Initiative will be eight International Centers of Excellence, focusing on climate change, environmental research, and disaster risk reduction. Bangkok’s Wat Pho Temple. Photographer, Ninara, 2016. 4Y1A0213. Image: wikimedia commons. Bangkok may lead the way. The first International Centre of Excellence on Integrated Climate Change, Disaster Risk and Environmental Research and Capacity Building opened in Thailand on 27 February 2018. It’s in partnership with Asian Institute of Technology, Geo-Information and Space Technology Development Agency (GISTDA), National Research Council of Thailand (NRCT), and Ramkhamhaeng University Center of Regional Climate Change and Renewable Energy (RU-CORE). When Professor GUO Huadong, Chair of DBAR (Digital Belt and Road) signed a Memorandum of Understanding with NRCT Secretary-General Sirirung Songsivilai, the agreement chartered the Center in Bangkok (ICoE-Bangkok) to create a satellite database for “environmental protection, risk reduction, food stability, urban development, and the preservation of coastal resources and world heritage sites.” The Suez Canal linked banking and peace; recent studies have suggested that banking may be one of the keys to chartering and maintaining peace. Guiding factors regarding resources – financial, natural, and human – Thailand might help to build the future, opening a portal of peace. DBAR. “Digital Belt and Road Programme Opens its First Centre of Excellence in Bangkok.” 28 February 2018. http://www.dbeltroad.org/index.php?m=content&c=index&a=show&catid-85&id=629. Edwards-May, David. 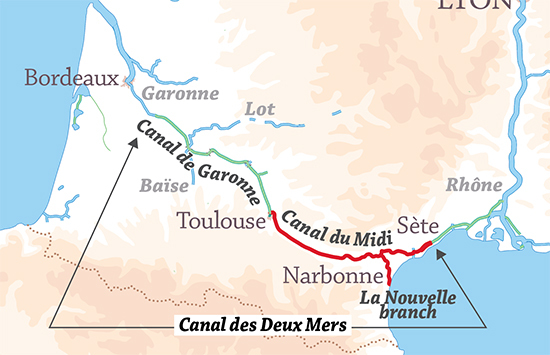 “Decline and Renaissance: 1975-1994,” From Sea to Sea: An Illustrated History of the Canal du Midi. by L.T.C. Rolt with postscript by David Edwards- May. Euromapping. ISBN: 2910185028. Kunaka, Charles. “Six Corridors of Integration: Connectivity Along the Overland Corridors of the Belt and Road Initiative.” 4 October 2018. The Trade Post Blog; The World Bank. https://blogs.worldbank.org/trade/six-corridors-integraion-connectivity-along-overland-corridors-belt-and-road-initiative. Litwin, George H., John J. Bray, and Kathleen Lusk Brooke. Mobilizing the Organization: Bringing Strategy to Life. London: Prentice Hall, 1996. The Nation. 28 February 2018. “Thailand sets up technological center for B&R Initiative. http://www.nationmultimedia.com/detail/breakingnews/30339848. World Bank. “Belt and Road Initiative.” 29 March 2018. https://www.worldbank.org/en/topic/regional-integration/brief/belt-and-road-initiative. World Water Day: March 22, 2018. We’re an increasingly thirsty world: by 2050, one-third of the planet will suffer water scarcity. Climate change intensifies problems: floods and drought are worse. More than 3 billion people suffer diminished access to water for at least one month each year due to drought: that number is set to increase by 2050 to 5 billion. Mitigating influences of forests and wetlands are vanishing: two-thirds have been cut or built upon since 1900, according to a study released by the United Nations. Rivers are polluted, with ten rivers identified as the major source of marine plastic debris. Think those problems are “elsewhere” and you may be alarmed to find 80% of tap water contains microplastics. What can you do, as an individual? Social scientists observe the original days of the week had a dedicatory purpose, still detectable in the names. For example, the Japanese day Suiyōbi is Wednesday, meaning Water Day. Should we rededicate the days of the week to raise awareness of our shared resources, including water? 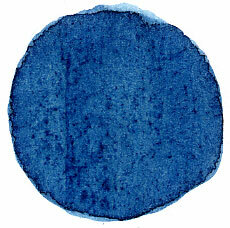 One fashion leader suggests wearing blue as a way to honor water. Would you consider dedicating one day each week to water? Caño Martín Peña may offer a vision for the future. Help Puerto Rico now. Image: wikipedia. Caño Martín Peña stretches 3.75 miles linking wetlands and canals to rivers meeting the sea of San Juan Bay, Puerto Rico. In 2004, eight communities along the canal incorporated to protect the canal, and dredge the channel; in 2015, the Environmental Protection Agency and the Urban Waters Federal Partnership issued a nueva vida – new life- vision for the canal. Rebuilding Puerto Rico, after recent hurricane destruction, may increase awareness of canals in flood mitigation. According to Inland Waterways International, canals create economic and environmental benefits, as well as locally-generated electric power. The World Canal Cities Organization recently met in Shaobo, China to explore the Grand Canal, busiest in the world, and building block of the Belt and Road Initiative. Panama and Suez are also notable. The Erie Canal opened the United States to a new era of development; the New York Canal Corporation worked with the World Canals Conference to host the 2017 conference on the Erie Canal in Syracuse, New York. What should the future hold for the world’s canals? How might Puerto Rico lead the way? Enlace and the Caño Martín Peña Ecosystem Restoration Project aim to improve 6,600 acres of the San Juan Bay, and the lives of those near its waters. In the future, canals may help coastal cities weather rising seas, allowing the water in as in Rotterdam. Meanwhile, Puerto Rico looks for help now, and leadership in the future, perhaps including a new vision of canals. Mulloidichthys vanicolensis, Coral reef, Guam, Mariana islands. NOAA Coral Kingdom Collection: Photographer, David Burdock. Wikimedia commons. World oceans may be the deep frontier; we have explored just 5% of the seas that give name to the water planet. Great cities were built for ocean access: Amsterdam, port of the Netherlands; Singapore, hub of the trade winds; New York, joined inland by the Erie Canal, celebrating its 200th anniversary. Other ocean to inland waterways include the Grand Canal of China, the world’s longest; Suez and Panama, both led by Ferdinand de Lessups. Will the Channel Tunnel inspire a TransAtlantic Hyperloop? Ocean Portal, by the Smithsonian National Museum of Natural History, offers educational resources for teachers and students. June 8 marks World Oceans Day, when over 100 countries honor, and protect, our oceans. It’s Earth Day: Look Up! Ra, Egyptian sun god. Artist: Jeff Dahl. Image: wikimedia commons. Earth Day. Could the answer to our planet’s energy problems and resultant climate change be found by looking up? Every culture on earth has myths about the sun. For example, Egypt worshipped Ra, the sun god whose falcon head was crowned with a solar disk. In 1973, building upon the success of COMSAT and the Apollo Moon Landing, Peter Glaser was awarded the United States patent for solar power from space, via satellite. Honored in the spring, as the sky glows with a stronger light, Earth Day might call us to look up. Thanks to Jacques Horvilleur, and Lucien Deschamps, and Sociéte de électricité et des électronique et des technologies de l’information et de la communication (SEE), Société des Ingénieurs et Scientifiques de France (ISF). Why is an Orange like a Light Bulb? The water-energy-food nexus may influence the growing of oranges, in competition for lightbulbs and drinking water. Image: wikimedia commons. 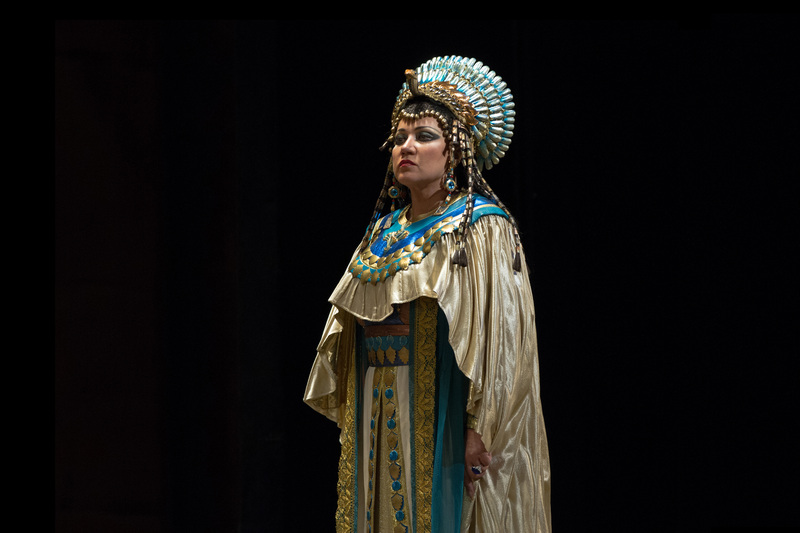 Amneris, in “Aida” by Verdi. Photographer: Marty Sohl, Metropolitan Opera, www.thirteen.org. “Aida,” the opera by Guiseppi Verdi, was written in honor of the opening of the Suez Canal. Now there may be an encore. Egypt is widening the canal with a second lane. Before, 49 ships transited per day; the improved waterway will accommodate 97. Wider and longer, the new Suez Canal will also be faster, cutting southbound transit from 18 hours to 11. Building the improved canal, at a cost of $8.5bn, is expected to generate revenue of $13.5bn by 2023. Suez commands 7% of all global water-transport business; this expansion caused the Suez Canal Authority to term the achievement a “rebirth.” Built by diplomat-developer Ferdinand de Lesseps in 1869, the Suez Canal was dedicated, by firman Article VI, for “tariffs of dues for passage…always equal for all nations, no particular advantage ever stipulated for exclusive benefit of any one country.” Should projects of connectivity, such as canals and tunnels, be chartered channels of inclusiveness and peace? On August 6, one year after construction began, the new Suez Canal opening is planned. Will there be a new opera? “Aida” had a sister; Elton John wrote a second version. What artists of today might celebrate the current widening of Egypt’s gateway waters? Verdi, and John, might advise such gateways include a budget for the arts. Panama and Nicaragua will both offer canals. Image: wikimedia. Nicaragua, once intended site for a canal that changed location due in part to a postage stamp, has announced the building of a waterway that will challenge the Panama Canal. The controversial decision weighs benefits of employment and commerce with environmental and other concerns. What might Nicaragua learn from Panama and Suez? Kentucky Derby winner, 1912. Image: wikimedia.org. When friends pitched their tent against a high wall to shelter from winds, during their reunion expedition, campfire conversation soon accelerated to boasts and dares. To prove his point, one of the group jumped upon his steed, prepared for a gallop and jumped the wall. No one else dared attempt such a feat. The party’s organizer offered the horse-rider anything in his power to grant. The answer: permission to build the Suez Canal. It was thus that Mohammed Pasha al-Said of Egypt gave authorization to Ferdinand de Lesseps to build the Suez Canal. Many years later, a very different story resulted in a very different canal, Panama. First envisioned by Sesostris, used by the Egyptians in 1380 BCE, connected to the Red Sea a millennium later by Ptolemy Philadelphus, the Suez Canal opened to great fanfare in 1869. Verdi’s opera “Aida” was commissioned to celebrate the waterway.